The Glengarry Gold Battery and Chlorination Works consists of the remains of a 5-head timber framed battery and associated oil engine, wilfley table and water tank. Connected to the battery is a largely buried but intact roasting furnace and the remains of several oregan vats. Little is known of the mine, but a chlorination plant was shifted to the site from Granya in 1937. The Glengarry Gold Battery and Chlorination Works is of historical, scientific and archaeological importance to the State of Victoria. The Glengarry Gold Battery and Chlorination Works is historically and scientifically important as a characteristic and well preserved example of an important form of gold mining. When the greater part of the gold in some ores is contained in its pyritical contents, the gold is very difficult to extract. From the mid nineteenth century miners experimented with various metallurgical (or heat treatment) processes to unlock gold from heavily mineralised ore. 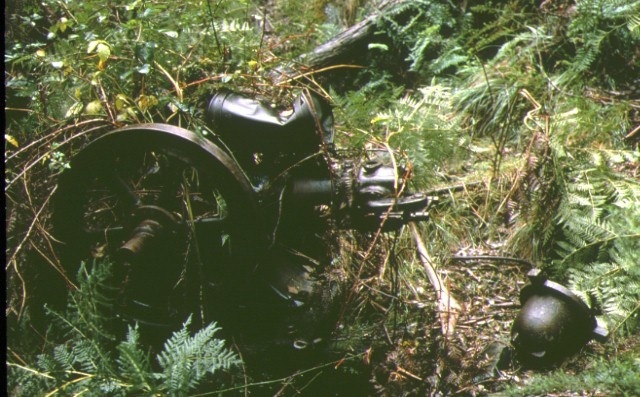 Evidence of these metallurgical processes, such as the one carried out by the Glengarry Gold Battery Site during the late 1930s, are extremely rare in the State of Victoria. The Glengarry Gold Battery and Chlorination Works is archaeologically important for its potential to yield artefacts and evidence which will be able to provide significant information about the technological history of gold mining. Glengarry Gold Battery and Chlorination Works, Corryong-Benambra Road, near Wheelers Creek Road, Glendart, Towong Shire Council. 1. All of the Crown Land including the remains of the crushing battery and chlorination works, and other quartz mining artefacts within a 200 metre radius with Australian Map Grid co-ordinates E704 N569 on 1:100,000 mapsheet number 8424 Benambra.